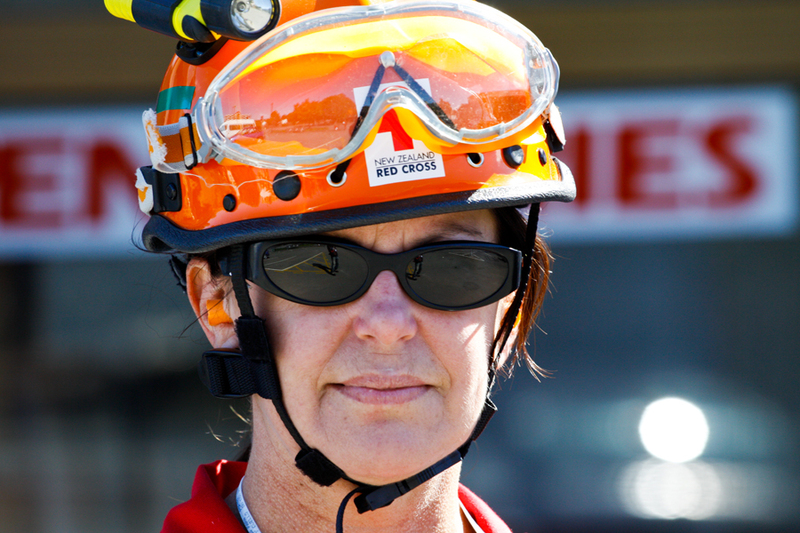 On the 23 February, the day after the recent Christchurch earthquake, I had the opportunity to travel to Christchurch to spend two weeks with the New Zealand Red Cross, documenting the work of staff and volunteers as they assisted with search and rescue, and recovery operations in the wake of the magnitude 6.3 earthquake. 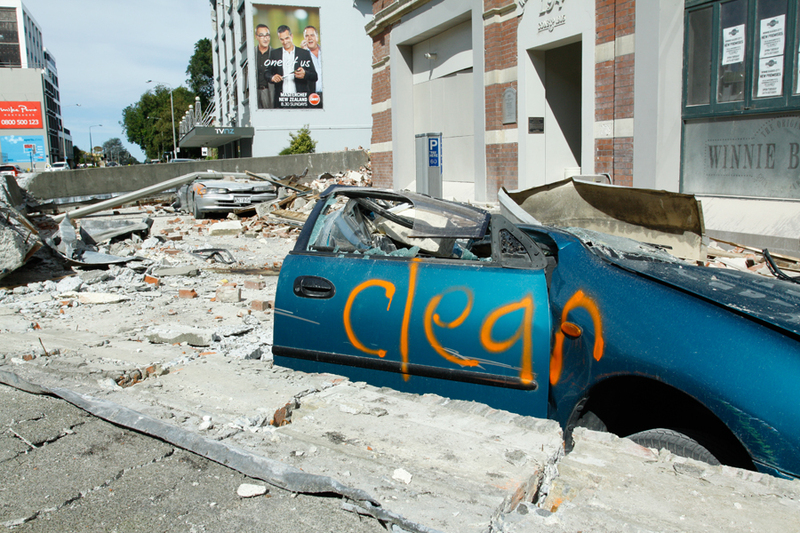 Here is a selection of images taken over two weeks which tell the story of the Christchurch earthquake and the involvement of the New Zealand Red Cross. 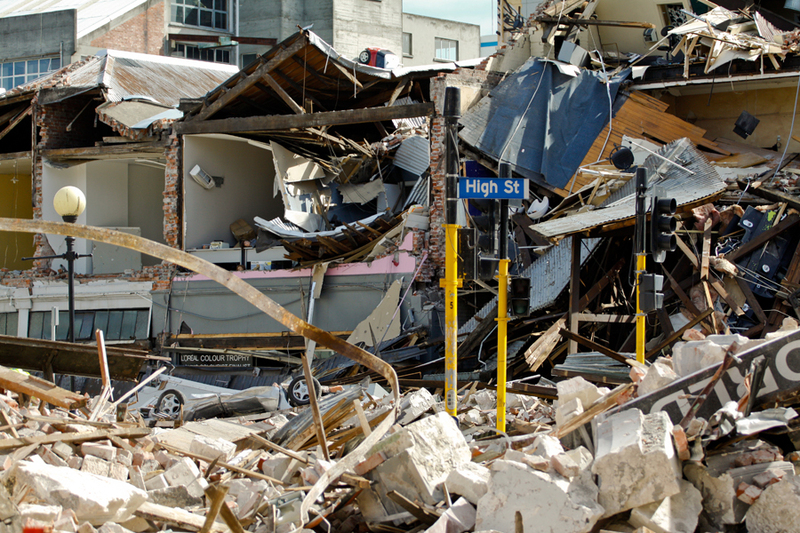 Earthquake damage to buildings on the corner of Manchester and Gloucester Streets in Christchurch CBD. 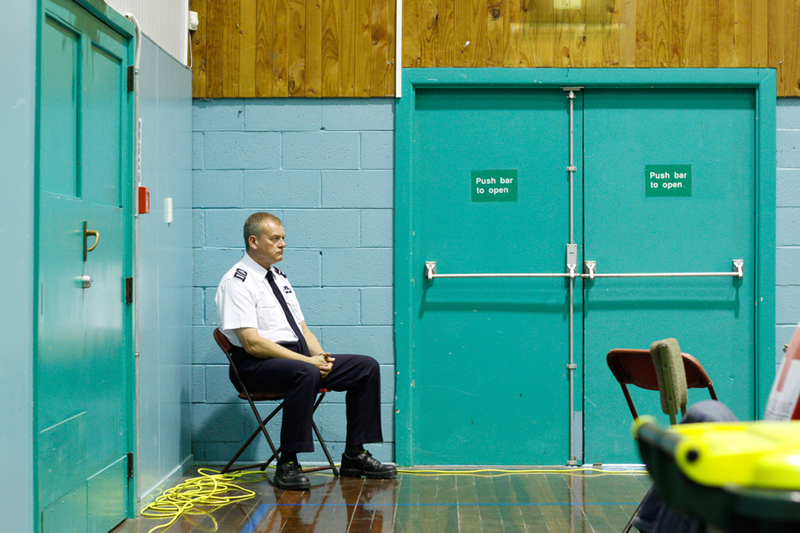 A security guard at Cowles stadium recover assistance centre, Christchurch. 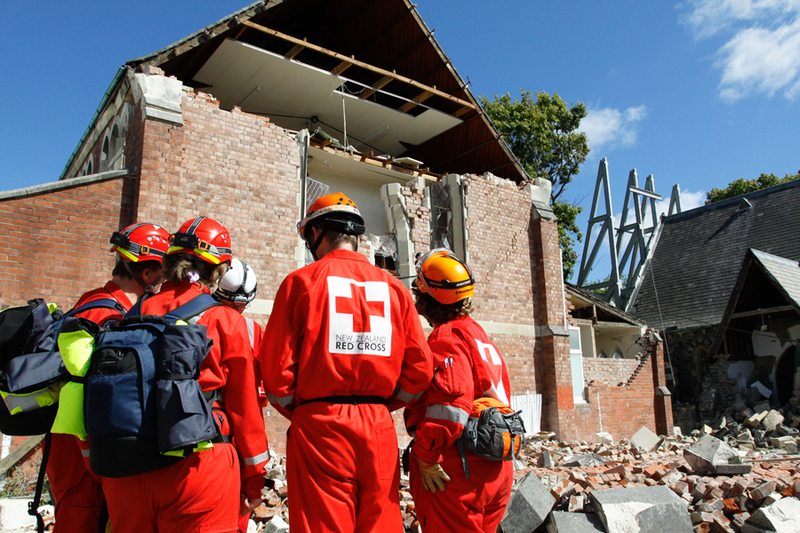 As part of Operation Suburb, New Zealand Red Cross volunteers visit residents in affected suburbs to assess their vulnerabilities and needs. 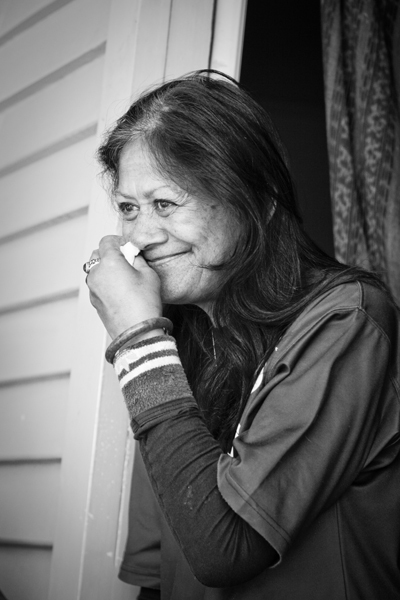 Linwood resident Sandra Kaumoana, suffers from manic depression, a mental health condition which has been exacerbated by the recent Christchurch earthquake. 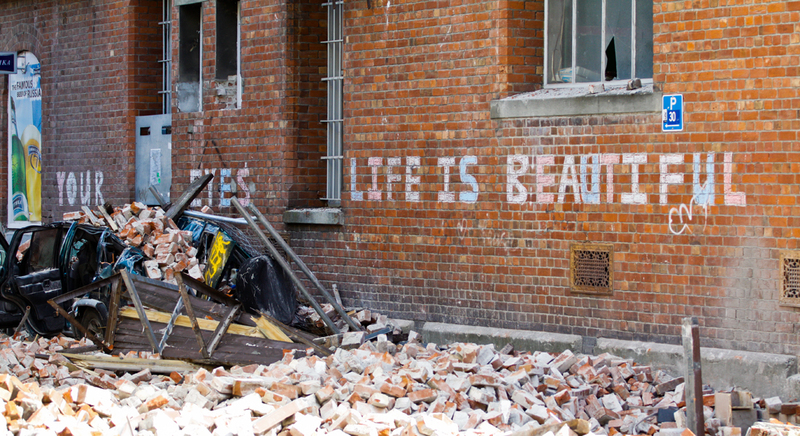 The remains of the collapsed CTV building in Christchurch CBD. 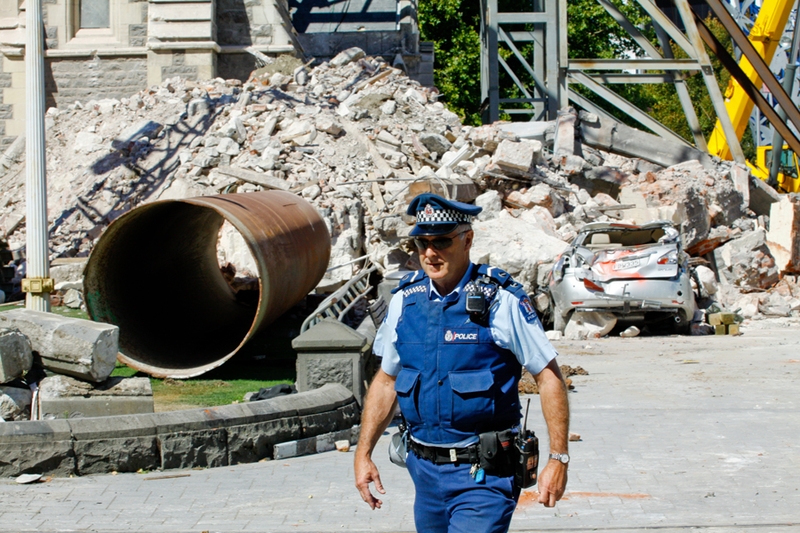 A police officer walks in front of the ruins of Christchurch cathedral. 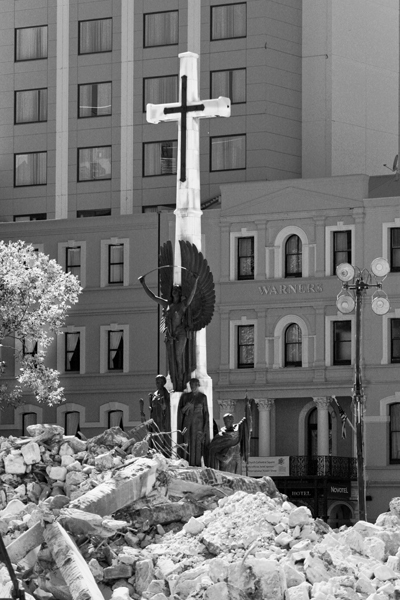 A cross is surrounded by rubble in Cathedral Square, Christchurch. 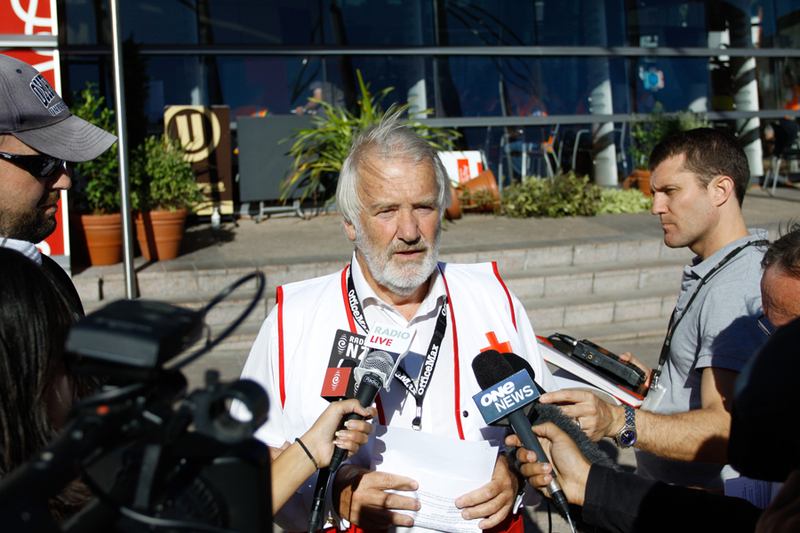 Sir John Hansen of the New Zealand Red Cross Earthquake Commission, gives a media interview at the Christchurch Arts Centre about the creation of Red Cross emergency grants available to those affected by the magnitude 6.3 earthquake. 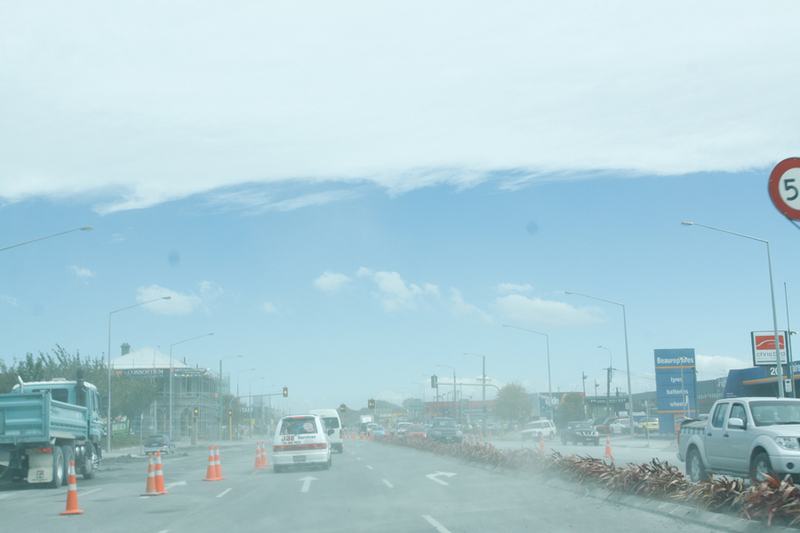 Dust produced from dried-out liquefaction deposits on Moorhouse Avenue, Christchurch. 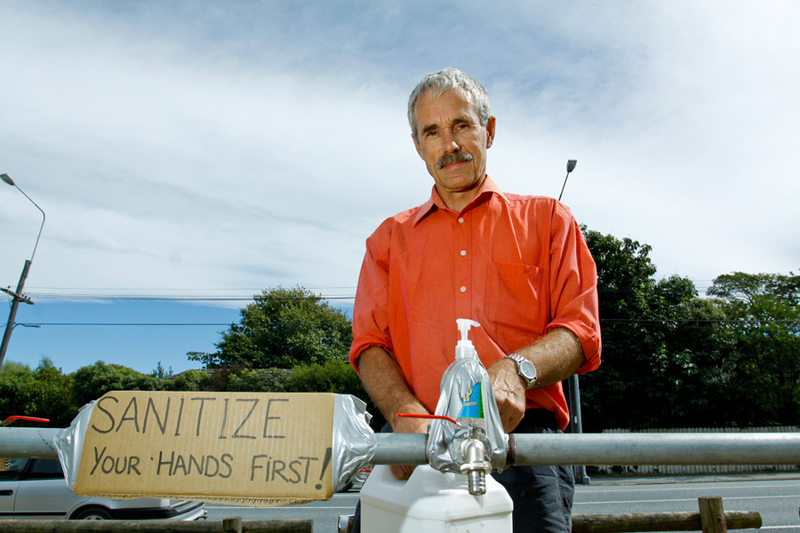 City Care workman Mark Pavitt attaches hose fittings to the Red Cross water bladder outside Pioneer stadium on Lyttleton Street, Christchurch. The water bladders provide potable water solutions to Christchurch suburbs where the mains water supply has been damaged and is not operating. Local resident, Trevor Freeman, fills up with water using the Red Cross water bladder located at Cowles stadium on Pages Road, Christchurch. The water bladders provide potable water solutions to Christchurch suburbs where the mains water supply has been damaged and is not operating. Group photo of New Zealand Red Cross staff and volunteers, including delegates from the Japanese Red Cross outside the Red Cross Christchurch office. 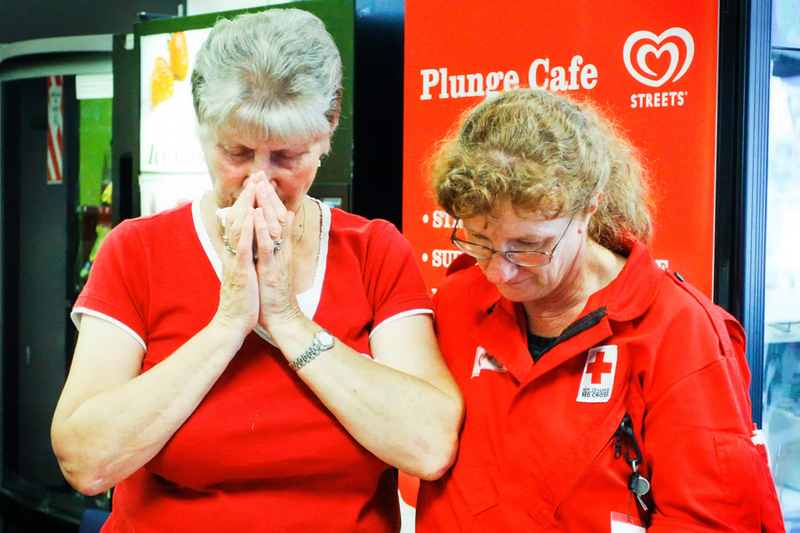 New Zealand Red Cross volunteers provide comfort and support at Pioneer Stadium welfare centre during the two minute silence marking the one week anniversary of the 6.3 magnitude earthquake in Christchurch. 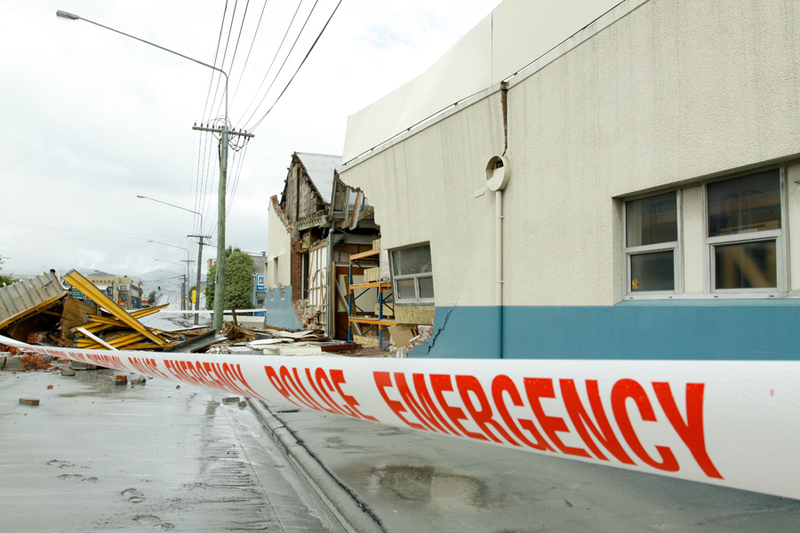 Damaged buildings on the corner of Colombo and St Asaph Streets in Christchurch. 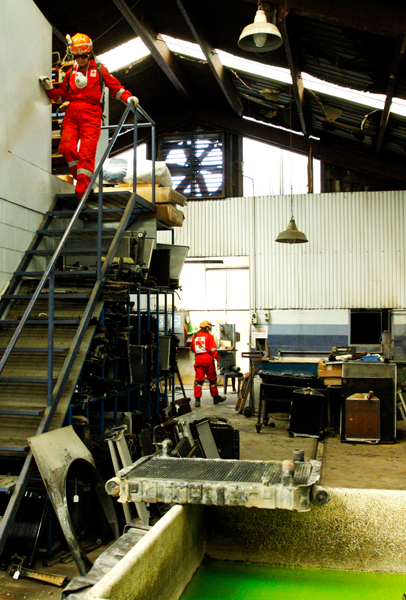 Red Cross USAR (Urban Search and Rescue) team members search the building housing A1 Radiator and Air Conditioning Specialists on St Asaph Street in Christchurch. 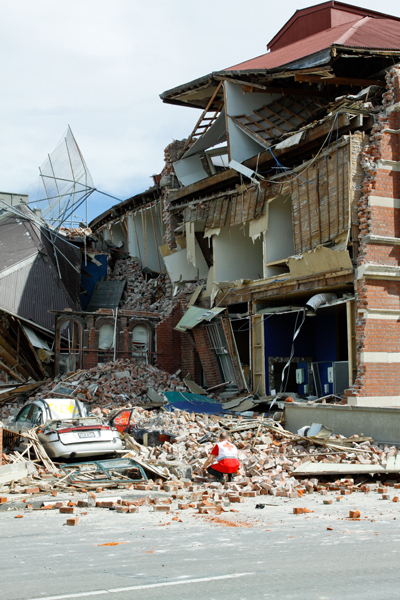 The buildings must be safety assessed before they a re-occupied. 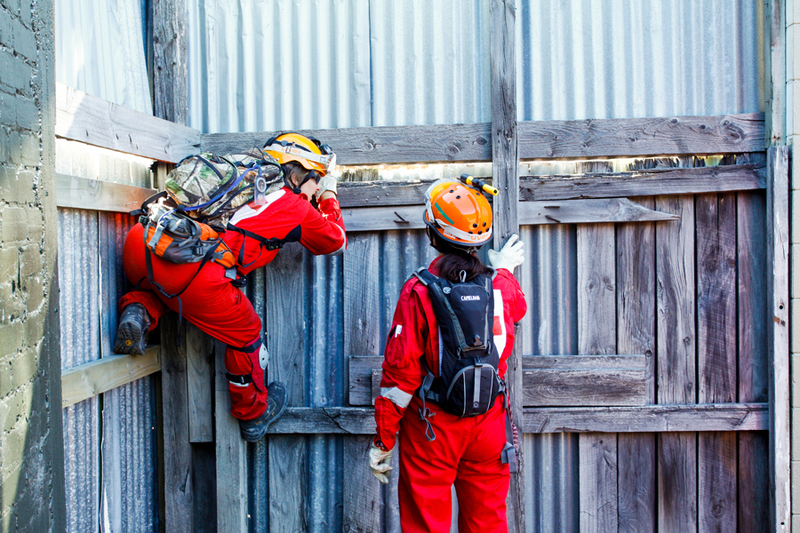 Red Cross USAR (Urban Search and Rescue) team members search a building housing a martial arts centre at 174 Barbadoes Street in Christchurch. 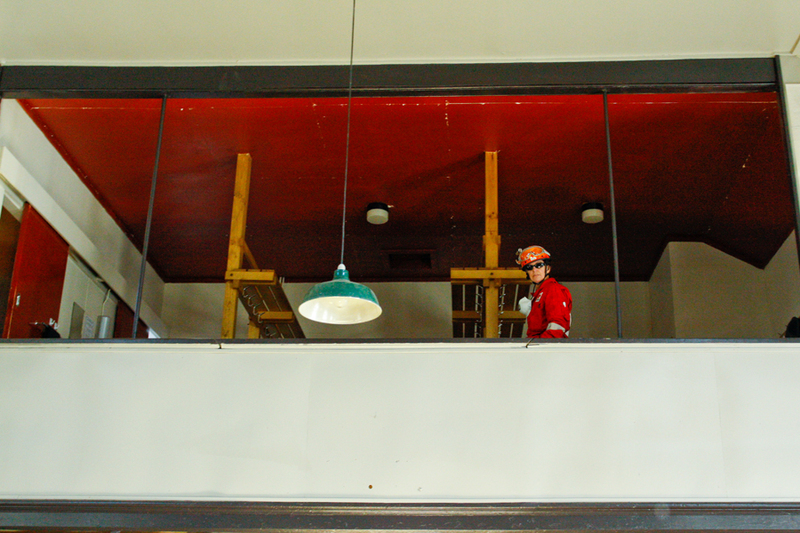 The buildings must be safety assessed before they a re-occupied. 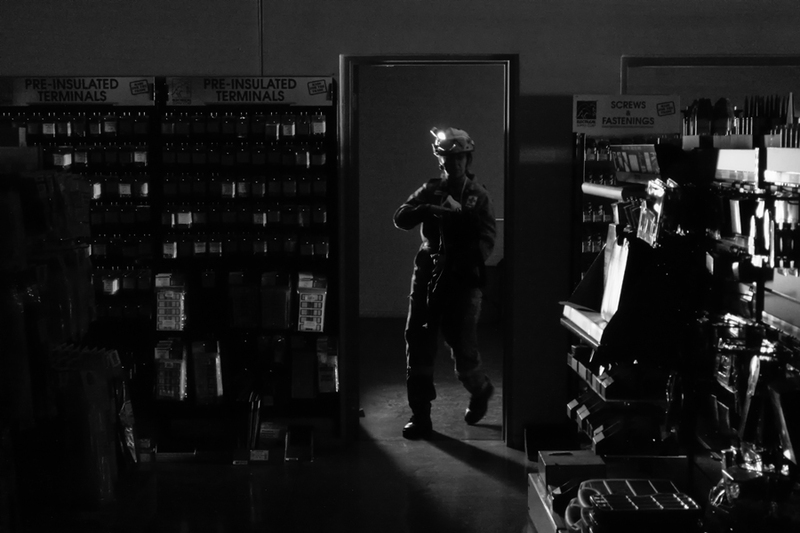 Red Cross USAR (Urban Search and Rescue) team member, Karen Lawson, searches warehouses situated in a pay and display carpark on Ferry Road in Christchurch. 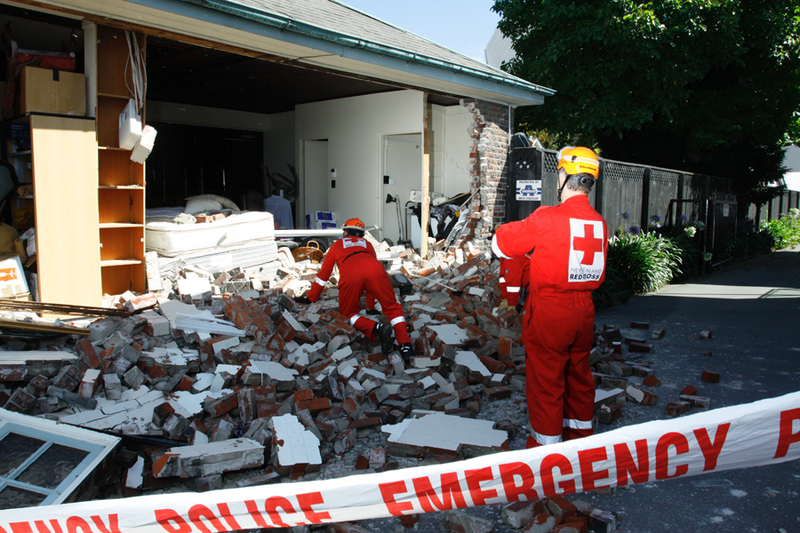 Red Cross USAR (Urban Search and Rescue) team members search a vacant building on Ferry Road in Christchurch. The buildings must be safety assessed before they a re-occupied. 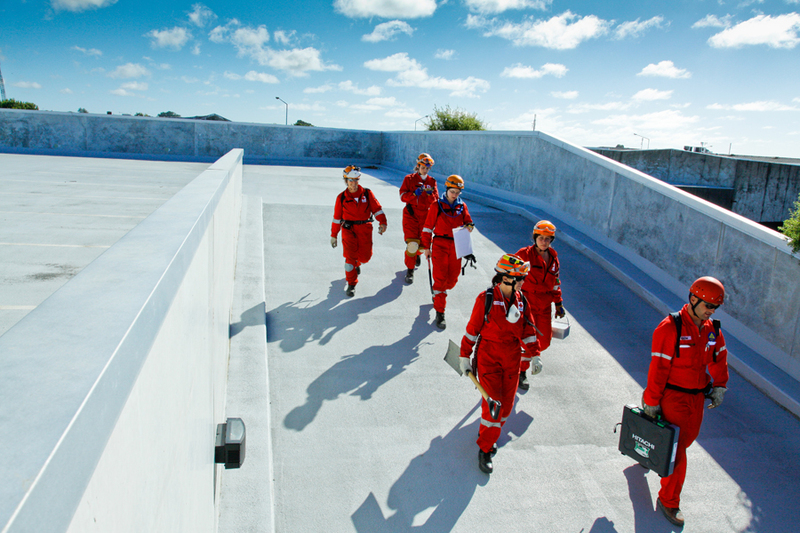 Red Cross USAR (Urban Search and Rescue) team members search the Powerbase/Redpath building on Ferry Road in Christchurch. 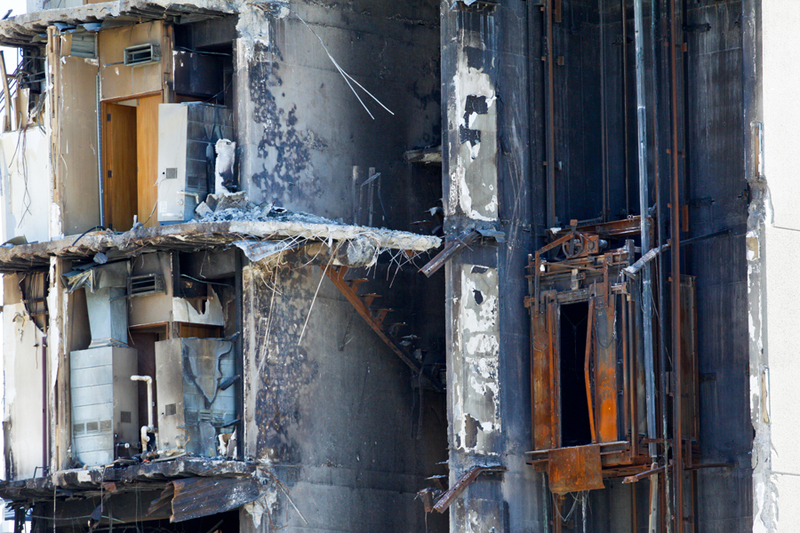 The buildings must be safety assessed before they a re-occupied. 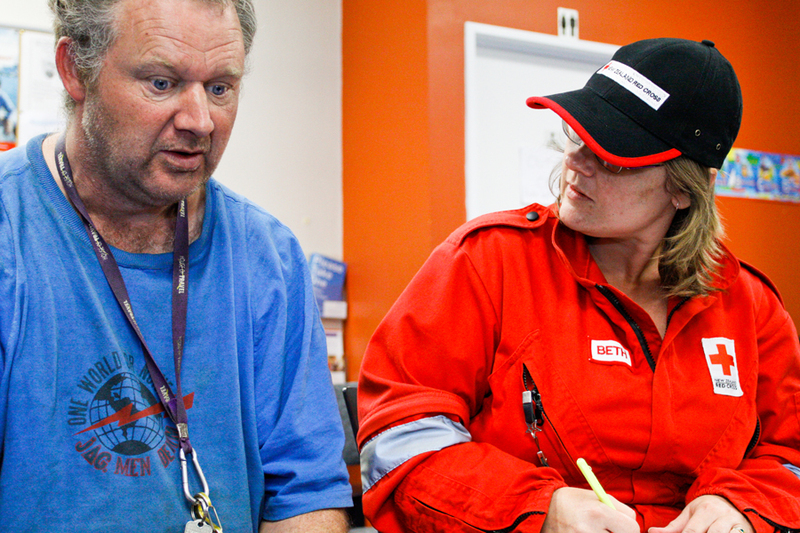 Red Cross Volunteer from Blenheim, Beth Schollum, as part of the Project Suburb Flying Squad teams, assist Joseph Meynell to recieve his prescription medicine from Moorhouse Medical Centre. 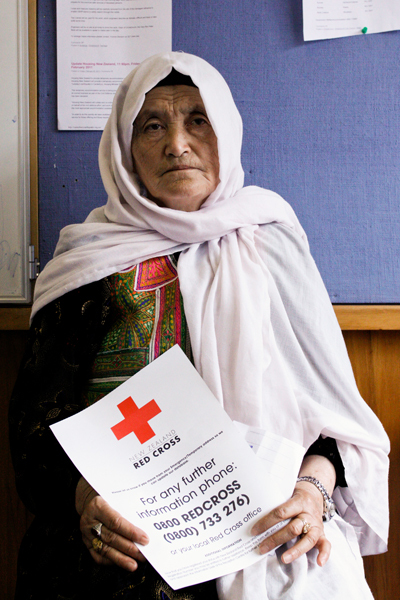 Hamideh holds a Red Cross information card while registering at the Burnside High School welfare centre in Christchurch. 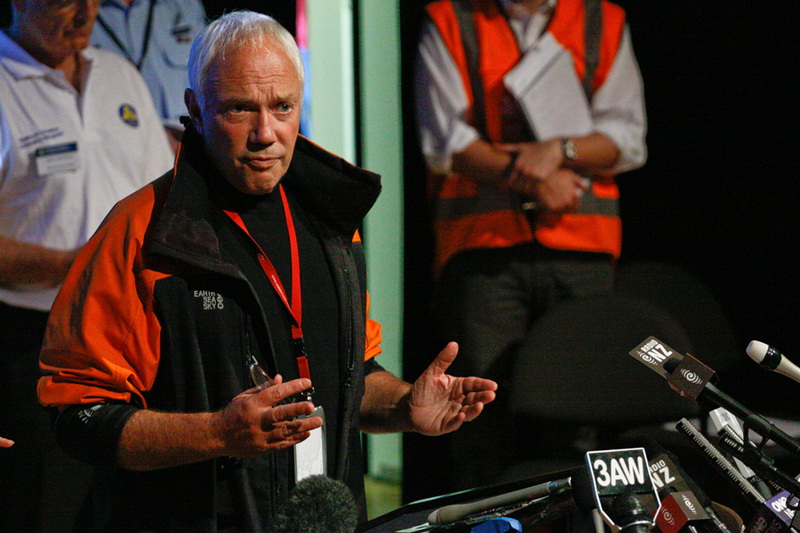 Christchurch mayor Bob Parker gives a press briefing to members of the international media at the Christchurch Arts Centre. 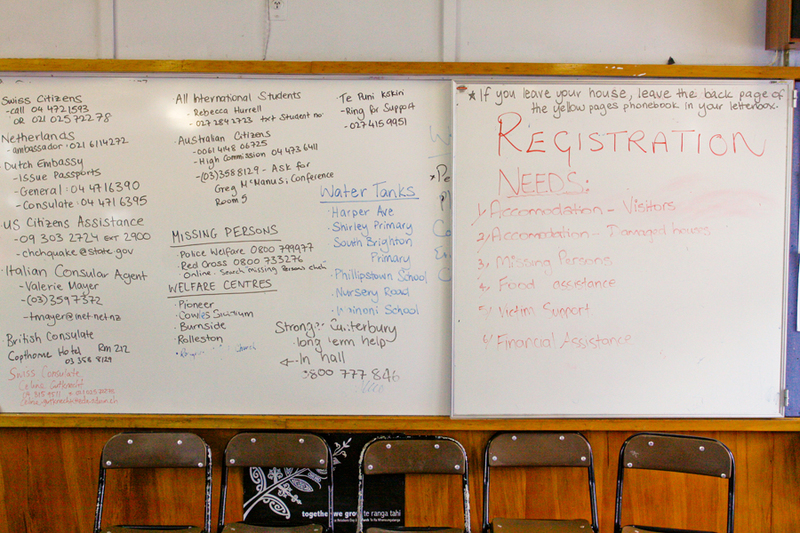 An information noticeboard at the Burnside High School welfare centre in Christchurch, provides help and information for those displaced by the magnitude 6.3 earthquake. 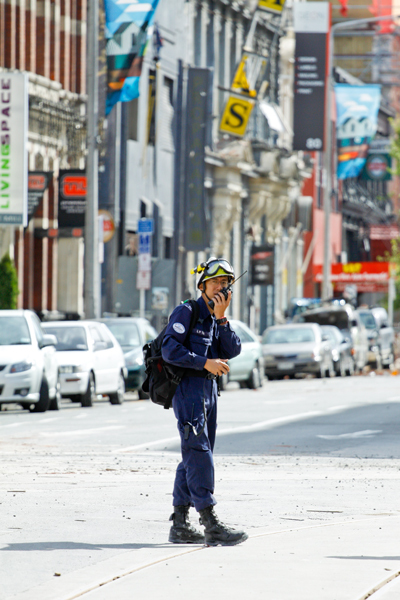 An urban search and rescue worker at the corner of Mancherster and High Streets in Christchurch CBD. 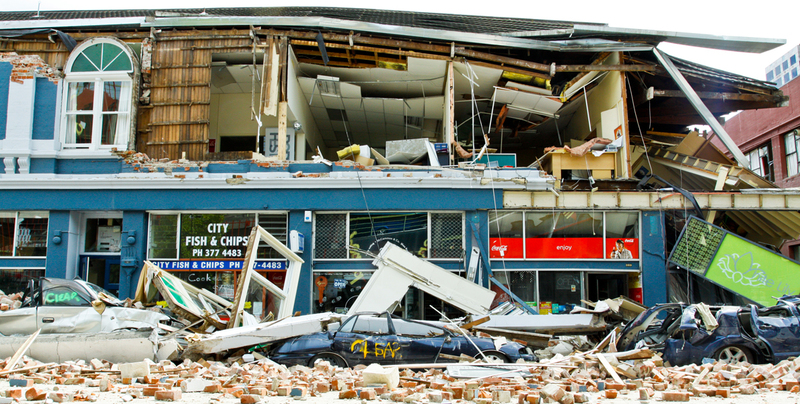 Building damage on corner of Manchester and High Streets in Christchurch CBD. Bricks litter Poplar Lane in Christchurch CBD. 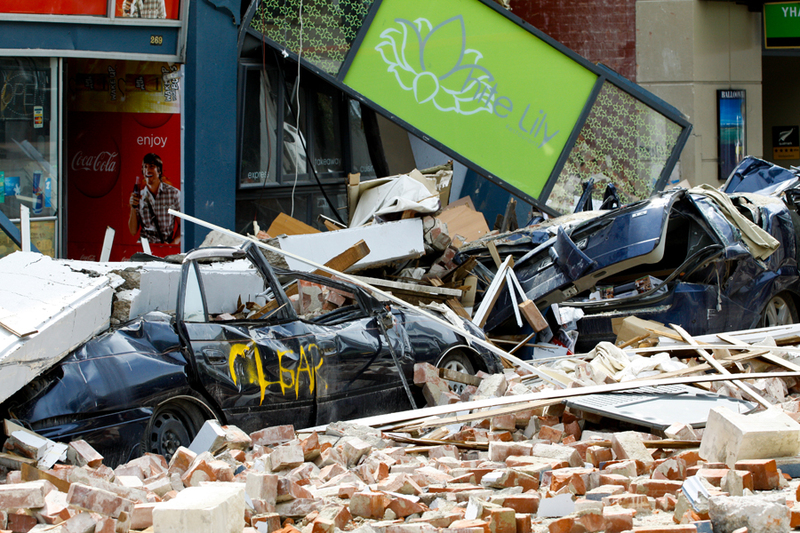 A car is crushed flat by masonry falling from a building on Gloucester Street in Christchurch CBD. 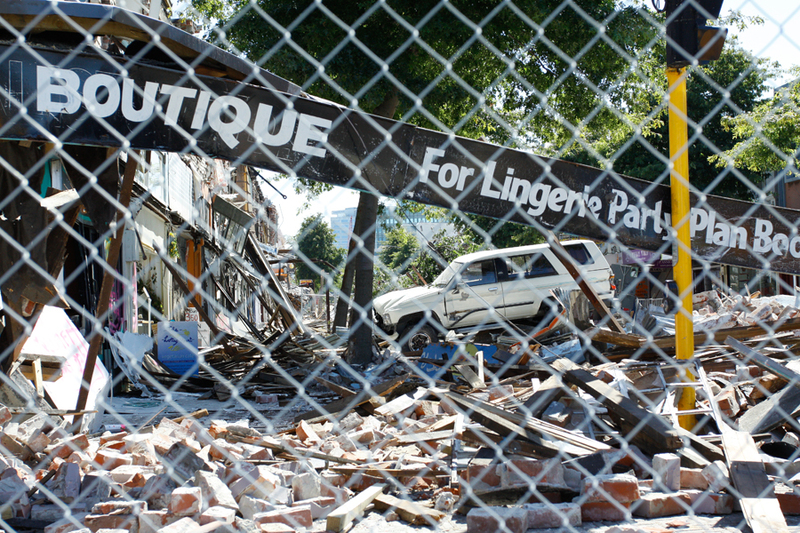 Earthquake damage to a building on Gloucester Street in Christchurch CBD. 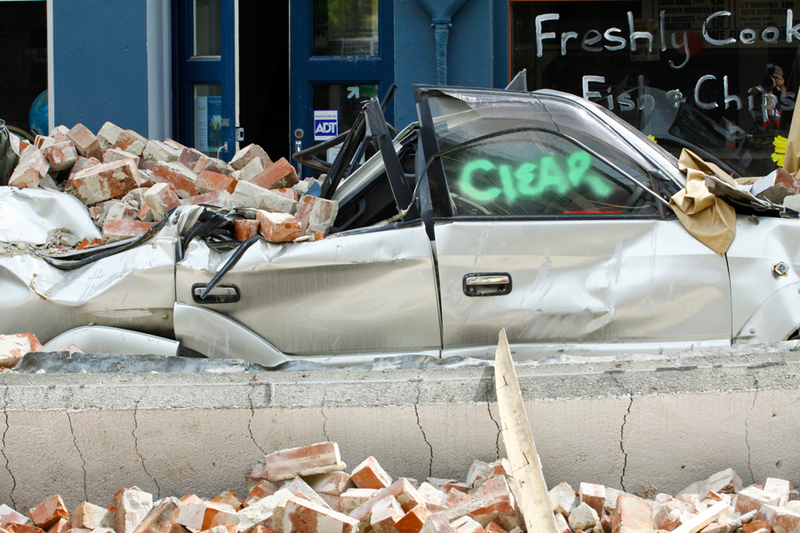 A car crushed by falling debris on the corner of Gloucester and Manchester Streets in Christchurch CBD after the magnitude 6.3 earthquake. 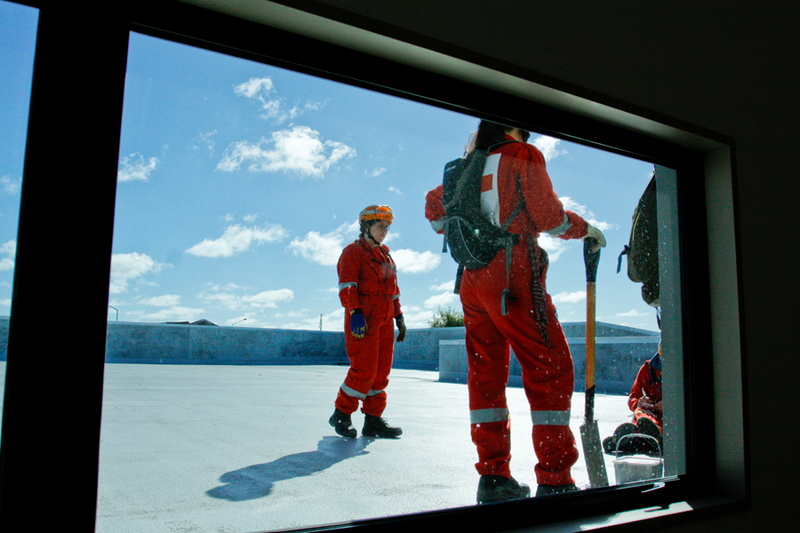 New Zealand Red Cross search and rescue volunteers inspect damaged buildings in the Christchurch CBD area. 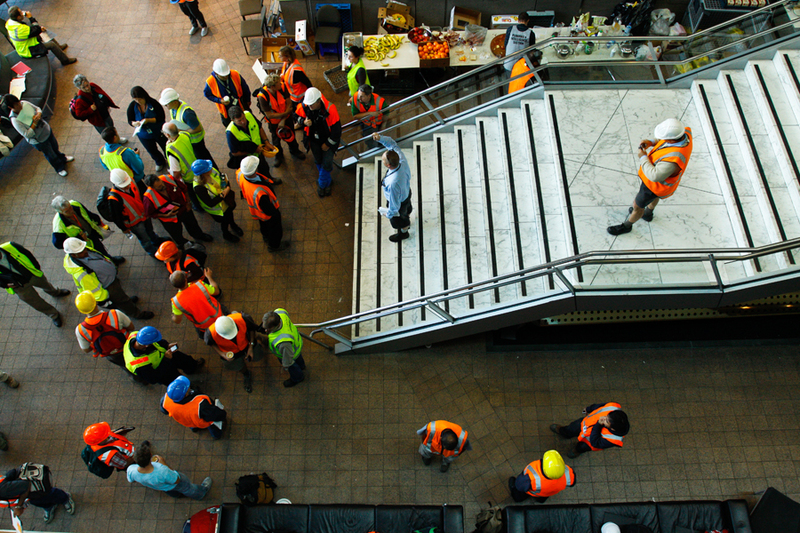 Teams of emergency workers gather at the Christchurch Arts Centre which became home to the emergency operations command (EOC) after the magnitude 6.3 earthquake in Christchurch. 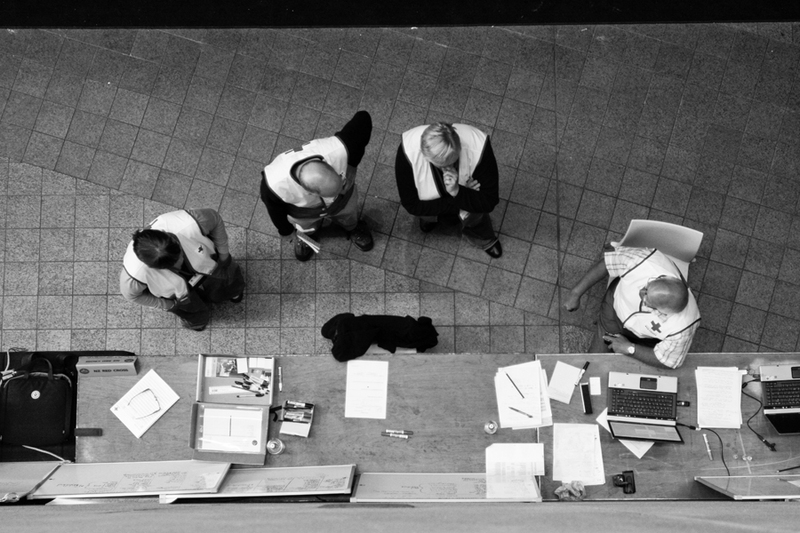 New Zealand Red Cross National Projects manager, David Neal (right), talks with staff at the Christchurch Arts Centre which became home to the emergency operations command (EOC) after the magnitude 6.3 earthquake in Christchurch. L-R: Yosef Steier, Aviv Levi, and Amit Aroch from Israel wait at the Hagley Park welfare centre for a RNZAF flight out of Christchurch. 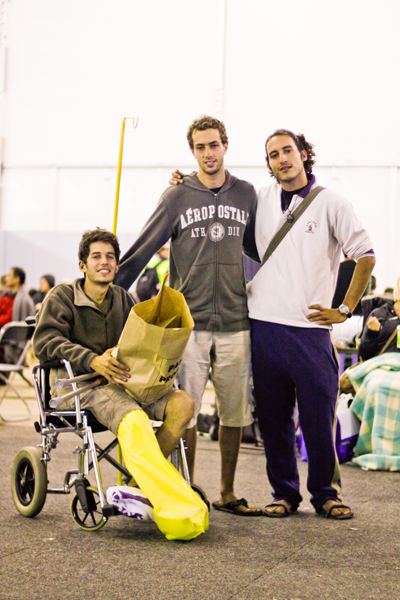 Yosef broke his leg after a shop facade fell on him during the 6.3 magnitude earthquake. Pelle Schwensen from Denmark, waits for a RNZAF flight at the Hagley Park welfare centre after the magnitude 6.3 earthquake in Christchurch. 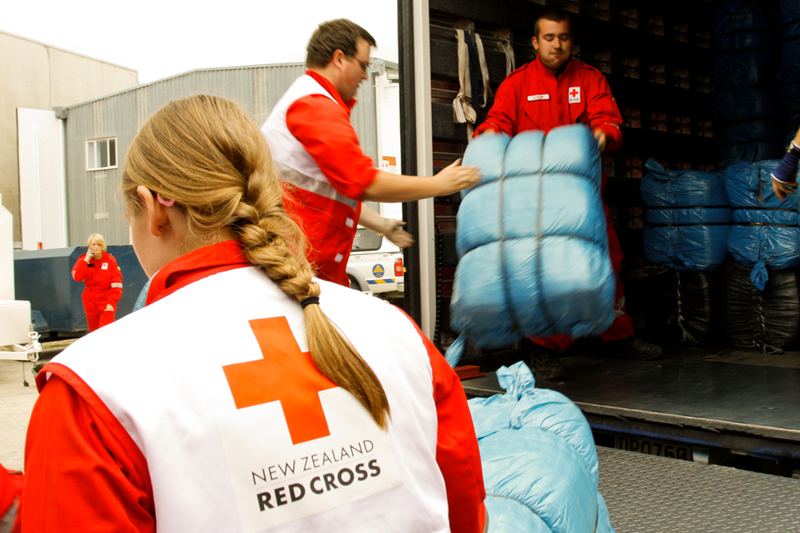 Red Cross volunteers help unload blankets at the Craft Place depot, destined for welfare centres to help those displaced by the magnitude 6.3 earthquake in Christchurch. 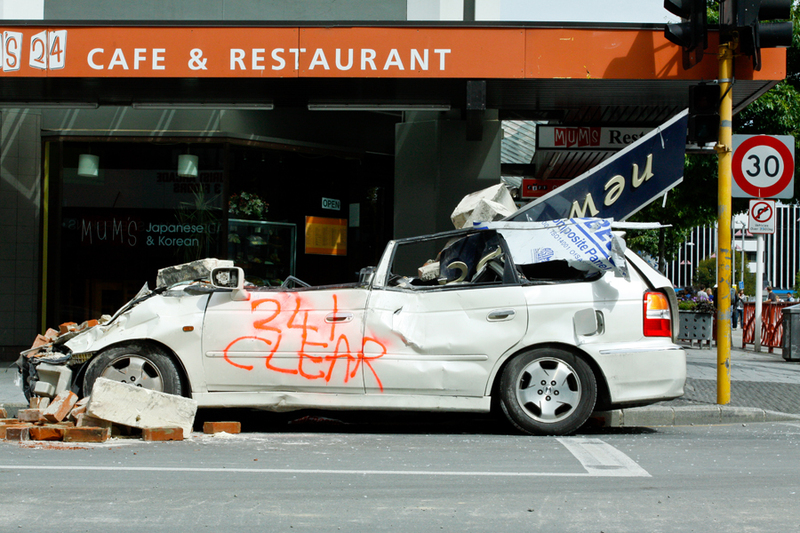 A car crushed by falling debris on the corner of Gloucester and Colombo Streets in Christchurch after the magnitude 6.3 earthquake. 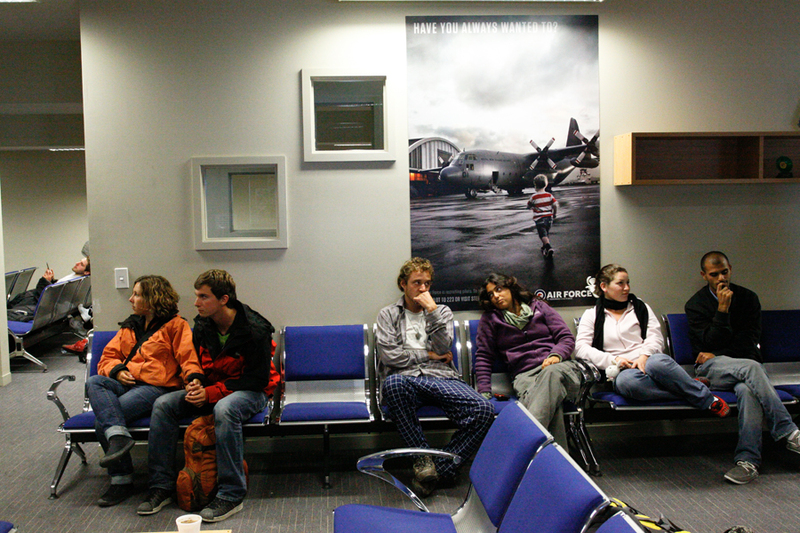 Tourists await at the military terminal of Christchurch international airport for a RNZAF flight to Wellington after the magnitude 6.3 earthquake on February 22nd.